The Mayor’s consultation on new Supplementary Planning Guidance, means that children’s play space, in London at least, will still be afforded some protection by the planning framework, says Adrian Voce. The Mayor of London is the ultimate planning authority for the capital and its region, with responsibility for long-term spatial development. His strategy for this is known simply as the London Plan. One of my proudest achievements as director of the charity London Play was to successfully promote commitments to children’s play within this overarching strategy for the city. As a consequence of the first London Plan including a policy to protect and secure space for children’s play, London Play was commissioned by the Mayor to draft guidance on developing play strategies for the London Boroughs. (The Mayor’s play policy proved to have influence beyond London as the Big Lottery Fund’s Children’s Play Initiative of 2006 drew heavily on his approach; influencing, in turn, the last Government’s 2008 Play Strategy). The Mayor then set out to establish some new benchmark standards for play space itself, in the form of Supplementary Planning Guidance (SPG), which was drafted for the Mayor by a team including Tim Gill, and issued in 2008. The current mayor is now replacing the first London Plan with a new one extending to 2031. The SPG for play is consequently being reviewed. The consultation document was published today along with details of how to respond (see the link below). It is a mark of how far we have come in play policy – and hugely important for future generations of children in London – that the current Mayor wants to retain a commitment to play provision within the planning framework for the capital. Now let’s make sure he gets the fullest and best possible response from play advocates and practitioners. Shaping Neighbourhoods: Children and Young People’s Play and Informal Recreation SPG | Greater London Authority. 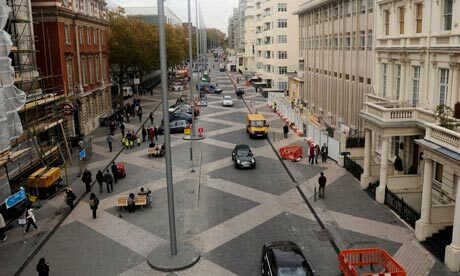 The new Exhibition Road in London demonstrates that turning roads into streets for people is a civic design concept whose time has come. Adrian Voce hopes that its true worth will be in reigniting the home zones movement to open up neighbourhoods for children’s play. Last Sunday’s Observer carried a piece by Rowan Moore about the newly landscaped Exhibition Road in South Kensington, which he describes as a “triumph for the shared space movement”. Certainly, visiting some of London’s most famous museums will be a more enjoyable experience now that pedestrians are afforded more respect by the built environment. To reach the Science Museum, for example, we will no longer be channeled from the underground station down something like an extension of the Tube itself – a long, fluorescent-lit tunnel with occasional, poorly marked exits to the street above. A chance to appreciate the architecture and enjoy the landscape is now part of Exhibition Road’s design, and few would argue that this part of London is not enhanced as a result. The scheme is a showcase for the possibilities afforded by the lateral thinking about traffic and safety that was pioneered by the Dutch engineer Hans Monderman and adopted by the likes of Jan Gehl for his Brighton New Road project. Monderman was the originator of the shared-space concept. Dispensing with the ‘signage and linage’ as well as the more concrete delineations that make the motorist king (or queen) of the road, shared space designs rely on the common denominator between driver and pedestrian: that they are intelligent beings intent on avoiding collision. By relying on good sense, rather than strict segregation, the area currently dominated by the highway is liberated for a more integrated approach. Consequently, the car is put, if not in its place, then certainly in a world where drivers have to negotiate rather than simply navigate their passage. Speed limits become redundant as the need for vigilance succeeds in reducing speeds well below those achieved by conventional traffic-calming. The result: public space that is more than a crowded footpath either side of the road, where congregation is possible and community is engendered. Now that the shared-space concept has been adopted by the Department of Transport (DoT), advocates will be keen to promote its application in town centres and cultural hotspots across the country. However, there is a yet more vital need for this radical rethinking of public space; one that has huge potential for the lives of children, for whom traffic is still the major barrier to outdoor play. There is an interesting relationship between the shared-space movement and the home zones movement. In the 90s and early 2000s, home zones were seen by many as the great hope for street play: schemes that would enable children and, crucially, parents to feel that playing outside in the immediate neighbourhood was both safe and accepted by other residents. Like the Dutch woonerfs that inspired them, home zones were supposed to engender community through a less car-centric, more people-friendly design of streets, reinforced by lower speed limits. But as Monderman’s innovations began to catch on, so woonerfs came to rely less on speed limits and traffic calming and more on the shared-space concept. Here in the UK, the reverse seems to be happening. Perhaps thwarted by the prohibitive capital costs of redesigning the public highway, local authorities have not widely adopted home zones. Despite enabling legislation and a DoT Challenge Fund at the beginning of the last decade, Tim Gill, who as director of the Children’s Play Council had a leading role in the campaign for home zones, reported in 2005 that only 80-100 or so had been built across the UK. 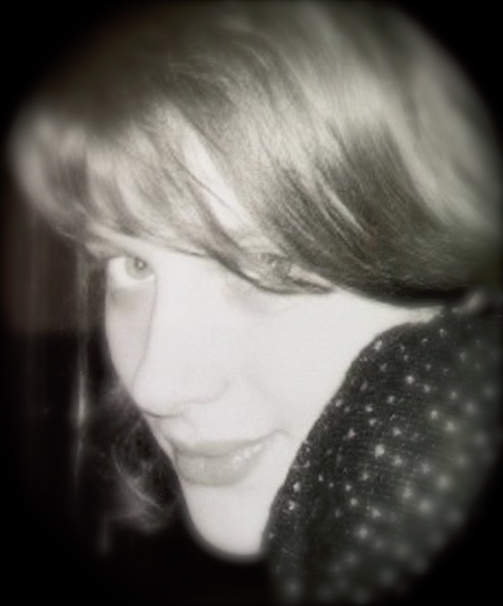 It is unlikely that many more have emerged since. Many of those campaigning for playable streets have naturally joined forces with the road safety movement in pressing for 20mph to become the norm in residential areas. The terrible toll of young British lives on our roads – among the worst in Europe – will certainly decrease as more areas adopt 20 as the limit, and it is hard to argue with this as a policy objective in itself: 20’s plenty where children play, right? Or is 20 mph still too fast? Stuart Reid of the MVA Consultancy helped to draft the new DoT guidance on shared space and is something of an authority on the subject. He has found that 15mph is a ‘threshhold for driver behaviour,’ above which they assume right of way – which is why the original woonerfs set the limit not at 20, but 5mph. If 20mph is too fast for shared space, then it is surely too fast for street play to have a chance. Of course, 20 is safer than 30 – and this alone will tend to increase parents’ confidence to allow children more freedom. But let’s not pretend that simply imposing a 20 mph limit turns a street into a home zone, let alone a play street. To a child, a car traveling at 20 mph is a hostile, dangerous hazard. Colliding with one may be less likely to kill or maim than with one traveling at 30, and the driver will have longer to brake, but it is clear who has priority – and that serious harm can come to anyone, let alone a child, who falls foul of it. 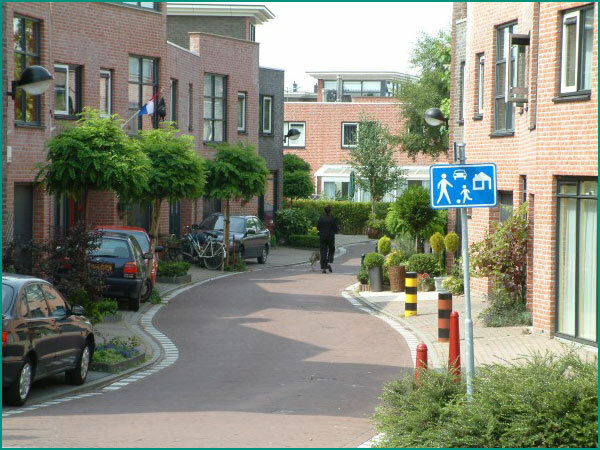 In Holland it is now widely accepted that it is the shared space concept rather than conventional traffic calming or imposed speed limits – even at the much lower level of 5mph – which achieves the best results. The long-term strategy for play advocates here must be to replace 30 with 20 as the maximum for built up areas, but as the context for residential neighbourhoods where shared space becomes the norm. In these austere times, there will be those who think that a costly improvement to a tourist attraction in the heart of one of the richest locations in the UK is a vanity project; a showcase for a way of living that belies the reality for the vast majority of communities here. It is not the first and won’t be the last development to face such a charge in this year of the London Olympics. But if the South Kensington scheme lives up its name and inspires planners and engineers to rethink street designs in the less august places where people live, then Exhibition Road may come to represent a watershed, with the movement for street play and home zones reinvigorated by fresh interest from local policy makers. We must hope so. If children are to reclaim their stake in the public realm, they need a proper share of the spaces and places from which they are increasingly absent.